Calgary, Alta. – The Western Hockey League announced today its pre-season schedule in advance of the 2018-19 season. The schedule includes 61 games, beginning Thursday, August 30, and concluding Sunday, September 16. 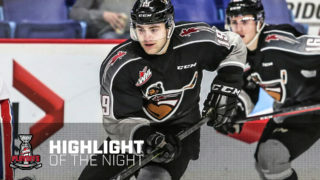 The WHL pre-season schedule features five tournaments, including events hosted by the Everett Silvertips, Red Deer Rebels, Regina Pats, Tri-City Americans and Vancouver Giants. The Everett Silvertips pre-season tournament is set to begin Friday, August 31 at Angel of the Winds Arena, as the 2018 WHL Western Conference Champions welcome the Portland Winterhawks, Spokane Chiefs, Tri-City Americans and Vancouver Giants to Everett. 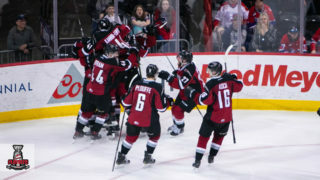 The Red Deer Rebels pre-season tournament gets underway Friday, August 31 at the Enmax Centrium as the Calgary Hitmen, Edmonton Oil Kings and Kootenay ICE converge on Central Alberta. 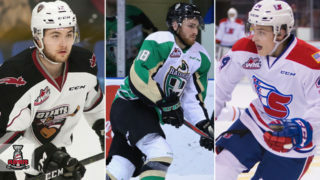 The Regina Pats pre-season tournament starts Friday, August 31 at the Brandt Centre as the hosts of the 100th Mastercard Memorial Cup play host to the Moose Jaw Warriors, Saskatoon Blades and Swift Current Broncos. The Tri-City Americans pre-season tournament sees puck drop on Thursday, September 6 at the Toyota Center, with the Kootenay ICE, Portland Winterhawks, Seattle Thunderbirds and Spokane Chiefs all visiting Kennewick, Wash.
Rounding out the pre-season tournament schedule, the Vancouver Giants welcome the Everett Silvertips, Prince George Cougars and Victoria Royals to the Langley Events Centre beginning Friday, September 7. The 2018 WHL pre-season schedule features seven games in seven communities outside WHL Club markets, providing an opportunity for hockey fans in other areas of Western Canada to watch exciting WHL action. In Alberta, the town of Taber will play host to the Medicine Hat Tigers and Lethbridge Hurricanes at the Taber Ice Arena on September 1. Wainwright will welcome the Lethbridge Hurricanes and Red Deer Rebels on September 8 at the Peace Memorial Multiplex. The town of Irvine will see the Moose Jaw Warriors take on the Medicine Hat Tigers, also on September 8, at the Irvine Sports Complex. 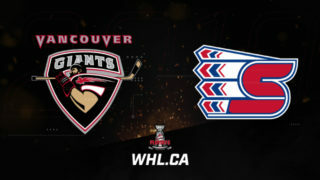 The Calgary Hitmen and Edmonton Oil Kings will meet along Highway 2 in Carstairs on September 8 at the Carstairs Arena. Rounding out the tour, the Edmonton Oil Kings will host the Red Deer Rebels on September 14 at Servus Credit Union Place in St. Albert. 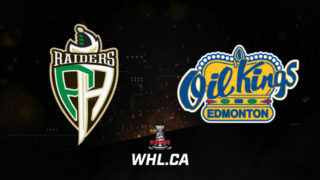 In Saskatchewan, Warman will host the Prince Albert Raiders and Saskatoon Blades on September 8 at the Legends Centre. 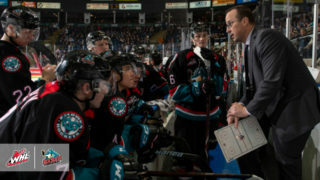 In B.C., the Kootenay ICE take to the Eddie Mountain Memorial Arena in Invermere where they will host the Calgary Hitmen on September 14. The 2018-19 WHL Regular Season schedule will be unveiled in late June.